The calculated EMI for Royal Enfield Bullet Trials 500 is Rs. 5,972 per month @ 9.45%	for a tenure of 36 months for a loan amount of Rs. 1,86,577. 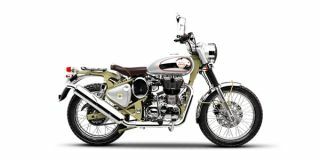 Check out the ZigWheels EMI calculator to find the best car finance for Royal Enfield Bullet Trials 500 or calculate loan interest rate and equated monthly instalments(EMI) by entering the amount of car loan that you wish to take. The ZigWheels EMI calculator calculates instalment on reducing balance. Confused about Aprilia Bullet Trials 500?